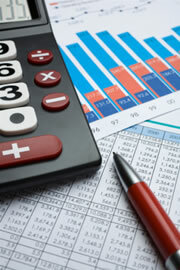 Bookkeepers keep accurate financial records of the day to day income and expenses in all types of business. As a bookkeeper your duties would typically include. In a larger business you would usually work as part of an accounts team, and you might specialize in one particular area like purchases or Sales, payroll or credit control. If you work in a small business you might do all of these tasks as well as other general office work. Standard working hours in a full time job would usually be 9am – 5pm, Monday to Friday. If you are a self employed bookkeeper you could work at times to suit you.